In partnership with Ochoco National Forest, Oregon Star Party is a nonprofit organization staffed entirely with volunteers. Operating under a permit issued by the US Forest Service, Oregon Star Party is spread across 40 acres at Indian Trail Spring. This is a primitive site with an elevation of over 5,000 feet and an unobstructed 360 degree horizon. 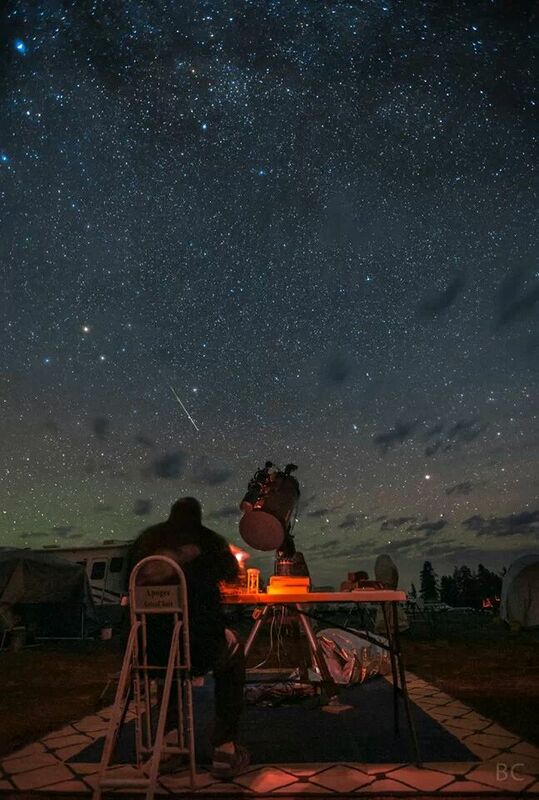 Oregon Star Party is considered to have the darkest skies of any major star party in the continental Unit ed States. Each year, OSP’s volunteer planning committee plans youth and adult activities, secures door prizes, and arranges for vendors to sell their wares during the week-long event. Onsite amenities include hot showers, portable toilets, a chuckwagon, and the ever-popular espresso cart. Volunteers staff the entire event, including a first aid crew.